We know that your presentation is dependent on the quality of our systems and service. So we have configured our meeting spaces and our staffing model to ensure your success. 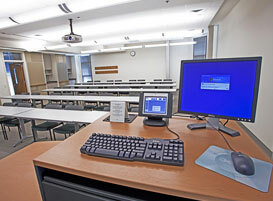 Our presentation systems are built-in and easy to use, and staff is available to assist you as needed. 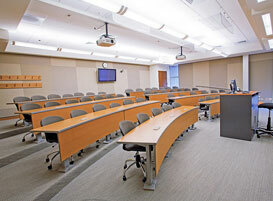 Each room includes an integrated audio and ceiling-mounted projection system that allows for multiple presentation sources, and is all managed through a simple-to-use touch screen panel. Technical/AV support staff is there to assist you with any set-up that you require, and are available as needed throughout your meeting.